I'm very excited about this new high density, 4-way stretch mesh, which is made to shape and mold to our curves without being too stiff. It stretches about 50% in both directions with perfect recovery, and is extremely useful as a lining for knits, for foundation garments, bras, swimwear, dancewear, etc. Try a swatch---you will love it!! 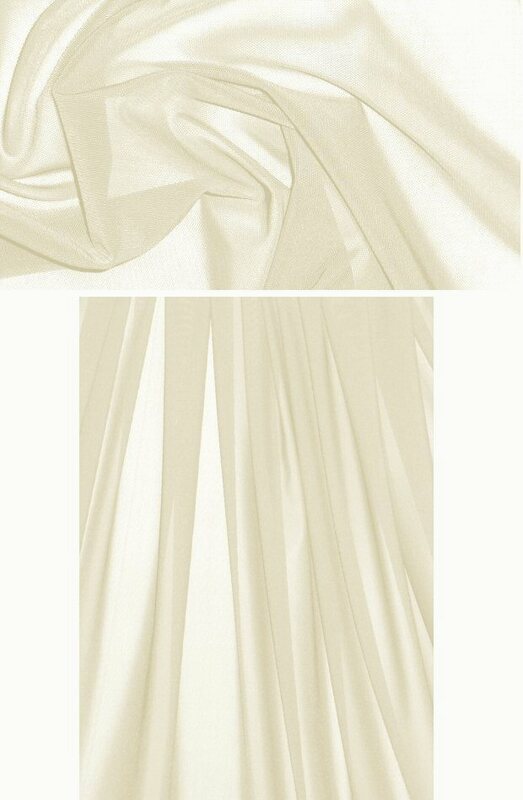 It's semi-sheer with nice drape, and the color of this one is ivory (PANTONE 11-0107). Hand or machine wash in cold water, hang to dry.